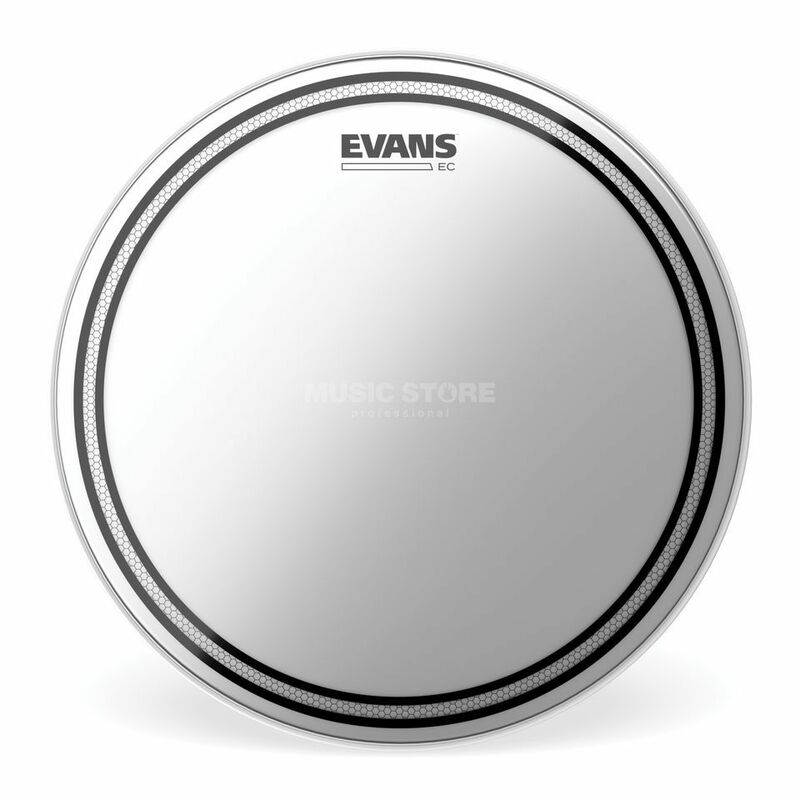 The Evans B14ECS EC Snare 14" Snare Head is a 14" Snare Drum Batter Head. A controlled sound but with resonance and sensitivity at all tuning and dynamic ranges, EC Snare head combines two-plies of film (7mil external, 10mil internal) with Evan's 'Edge Control' technology to eliminate the mid-range frequencies that muddy up the mix, leaving crisp highs and deep lows. The reverse dot version lends added durability and accentuated attack without choking the overall sound. All Evans heads feature the Level 360 Collar. This collar ensures a balanced contact around the bearing edge of the shell, making tuning an absolute breeze and enhancing the sound quality by allowing the head to better resonate though out your drum shell.